Austin, TX – December 15, 2015 – Chiron Health, Inc., a leading provider of HIPAA-compliant video visit telemedicine software and reimbursement services, today announced that the company has raised a $2.3 million seed round and has released an iPhone and iPad app for patients. Chiron Health has taken a fundamentally different approach to telemedicine than many of the well known players in the space. The company has been focused on the technology needs of physician practices to enable telemedicine encounters with their existing patient base. This approach is in sharp contrast to the common model of on-demand telemedicine where patients must see healthcare providers with no prior relationship. Chiron Health’s new patient mobile app is only one piece of this puzzle. 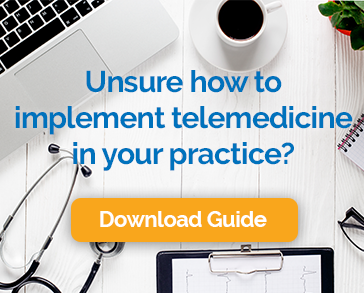 The company is also integrating its telemedicine tools with an increasing number of electronic health record systems, including athenahealth, enabling physician practices to schedule and document video visits with no staff behavior change. Earlier this year, the Urology Team in Austin implemented video visits into their practice workflow and have been using Chiron Health to help grow their practice. “The feedback from patients has been great – they’re getting timely care in a very efficient manner,” said Dr. Eric Giesler. Chiron Health is the only platform designed to get physician practices fully reimbursed for secure video visits. The company’s extensive knowledge of telemedicine regulation and reimbursement allows Chiron Health to guide practices through the complexities of telemedicine. The result? Guaranteed reimbursement. For more information, request a demo.